NOTE: This product requires the replacement of one of your stock GI white clear dome bulbs with a frosted white dome bulb. 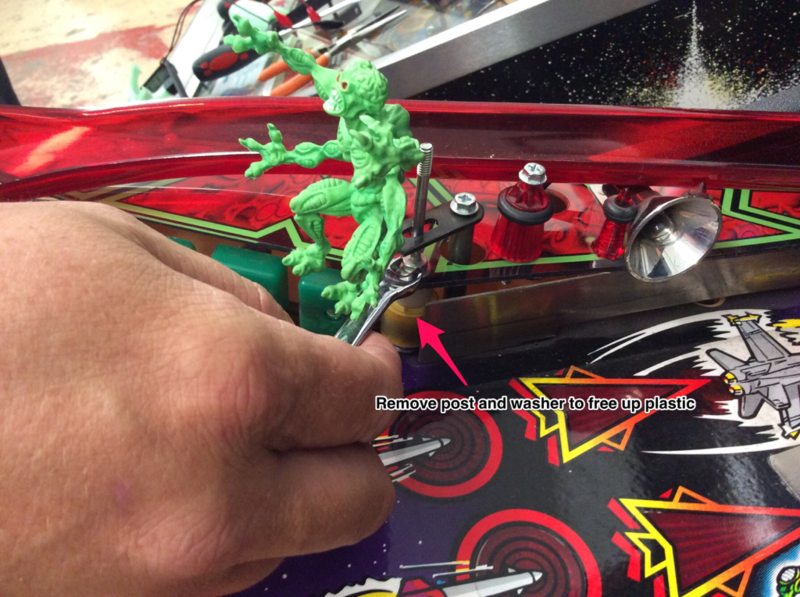 For best results, we select a replacement location that is hidden below a playfield plastic. If you prefer not to utilize the replacement bulb, a set of alligator clips can be utilized instead. Please note that alligator clips are not intended for permanent connections and can come loose potentially causing shorts. Turn off the power. Remove post and washer from behind alien in order to loosen plastic. Using Red post hardware, Mount Eiffel Tower. Run mod wires underneath ramp. 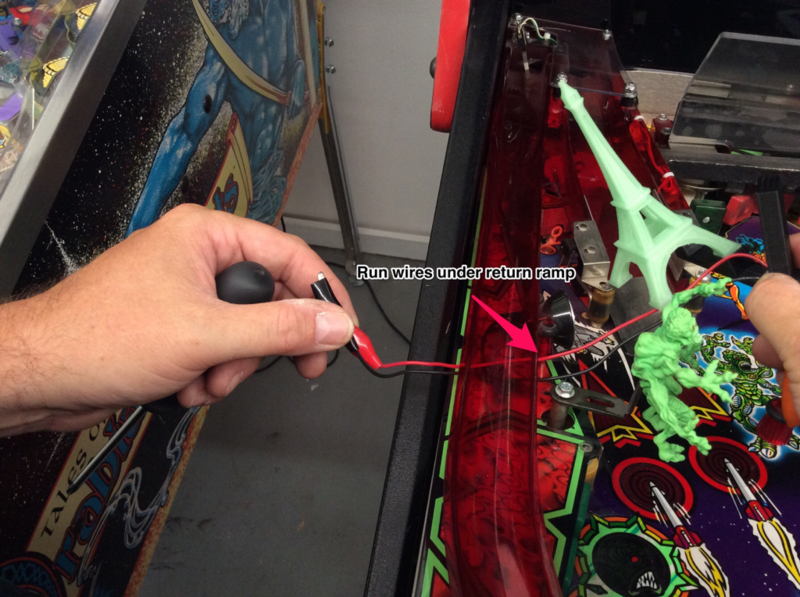 Feed wires through the hole in bottom of playfield under ramp. You'll note two black wires running down through the playfield in this location. 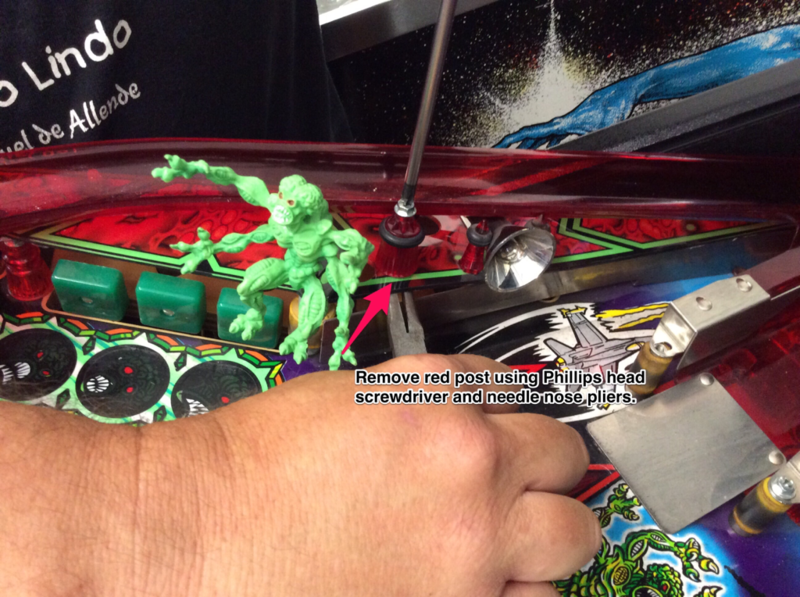 Utilize a hex nut driver to remove the bayonet from the playfield. Remove the existing bulb by pushing in slightly while twisting and replace with the bulb provided. Push in and twist until it locks into place. You can adjust the height of the replacement bulbs dome so that it is closer to the top of the bayonet. 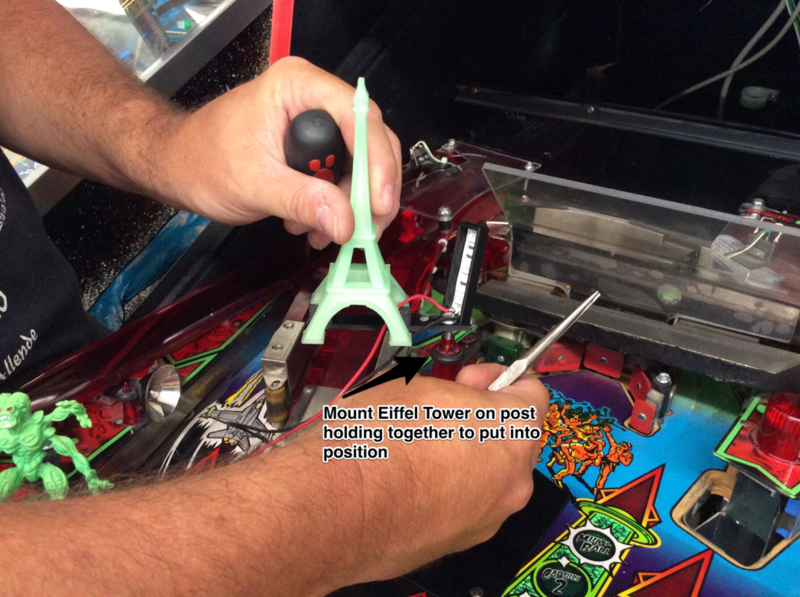 Reattach the bayonet to the bottom of the playfield. Attach the wire from the Eiffel Tower to the wire on the bayonet. Lower playfield- installation is complete!